Hurrah! February is almost upon us and although technically, it’s still classed as winter, I can’t help but feel hopeful. Hopeful because the never ending month that is January, is almost banished for another year. Hopeful because after having after having a quiet month since an extravagant and costly Christmas, we can now start LIVING again. Hopeful because this week I have noticed snowdrops in bloom. I’ve seen daffodils and crocuses raising their heads and the Camellia in my garden is starting to flower. Hopeful because, if it’s not my imagination, the evenings seem to be getting a fraction lighter. Instead of the gloom descending at 4pm it now seems more like 4.30 or even 4.45 and every little bit helps! Hopeful that I’ve started to leave the heating off for one or two days completely in the last couple of weeks (although today, on the last day of January, it’s been firmly switched to ‘on’ all day). Winter feel like it’s been endless and I’m not the best at coping with the cold or the dark. But with the launch of February, I’m suddenly hopeful that spring may actually be around the very next corner. And hopeful that all of those strong-willed, determined people who clung on to being Dry for the longest, most depressing month of the year can stop going on about how good they’ve been, resume their normal business of drinking wine, and stop making us drinkers feel bad again! So, without further ado, here’s some facts to celebrate February and all that it may bring. The birthstone for February is amethyst which the ancient Greeks believed when worn would protect the wearer from drunkenness. Those Dry January people may need to wear this when they go out on their first bender this weekend. 2. Keeping with the theme of purple, the birth flower for February is violet or iris. 3. February is the shortest month in the year with 28 days unless it’s a leap year when there’s 29. But before Julius Caesar reformed the calendar, February was the only month to have an equal amount of days; all the rest had 29 or 31. Even numbers were considered unlucky back then, so February was considered an unlucky month and one which was dedicated to honouring the dead and performing rites of purification. 4. Leading on nicely to how February got it’s name. The purification festival – Februa which was the equivalent of a Roman spring cleaning festival! 5. Famous people born in February include Drew Barrymore, Sheryl Crow, Simon Pegg, John Travolta and Jennifer Aniston. 6. The zodiac sign for people born in Feb is Aquarius and Pisces and according to a recent study, people born in February are more likely to be artists. Hhhmmm…. well my Dad’s born in February and he’s started painting so does that count? 7. February regularly appears in the most commonly misspelt words of the English language. 8. Originally, the Romans had a ten month calendar which started with March and ended with December. There was no January or February as winter weather had little to do with the harvest, so the winter months were given no period of distinction. 9. Every year February ends on the same day of the week as October! 10. Valentine was a Roman priest in 3AD. When Emperor Claudius banned marriages because he thought married men made bad soldiers, Valentine thought this unfair and married people in secret. A Roman festival held in the middle of February to celebrate the start of spring, saw boys and girls pick names from a box where they would partner up for the festival and occasionally, later, get married. Later on, the church turned this into a Christian festival and used it to remember St. Valentine too. 11. Despite it being the shortest month in the calendar, February is busy with celebrations relating to Valentine’s Day, Shrove Tuesday, Ash Wednesday, Chinese New Year, Groundhog Day in The States along with ‘Bachelor’s Day’ if there’s a leap year on the 29th. 12. Old English names for February include Solmonath (meaning mud month) and Kale Monath (meaning cabbage month)! 13. Much Ado About Nothing is the only Shakespeare play to mention February. 14. February is the only month that can pass with no full moon, but there is one this year. 15. A leap day is where an extra day is added every four years to the calendar on the 29th February to balance out the fact that the Earth does not orbit the sun in precisely 365 days. Our next leap year will be in 2020. According to tradition, just as the calendar is balanced out every four years, so too are the traditional roles of men asking women to marry. Every four years on the 29th of February, women are “allowed” to propose to men on this date. He should be so lucky! I hope you’ve enjoyed these facts. Half term is nearly here and it will soon be spring. Have a wonderful February! Nope, but it’s a start!! Oh yes do! My daughter goes to Rainbows and loves it! I never knew that about Valentine either. Also love pancakes!! Ha ha, sorry to be one of those smug dry January folk lol! I definitely need some of that amethyst this weekend! The darkness of winter is the thing I hate the most!! Never knew there was so much purple in Feb – should give it more love. 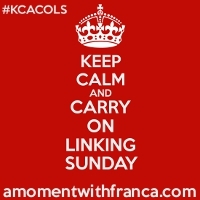 Thanks for linking to #kcacols and hope to see you back again next time! I know! Me neither!! Thanks for hosting! I learnt a few things whilst writing this too! Hello Cheryl, Just discovered your blog and loved it. I was born in February and have always felt the same way as you about it, snowdrops, hope, etc. I have a piece of amethyst on my writing desk. I learnt a lot from it too. Many customs/traditions I wasn’t aware of. Fascinating. Thank you. I have just resusitated my blog and am going to try to put something on it each week and build up a following. I write about anything that interests me. Article, shoret stories, novels. Am having a bit of a rebirth just now, with some of my back list being published in paperback and kindle by Wiilliams & Whiting and I couldn’t be more thrilled. You can find my blog by going to Joan’s Jottings. I would love to have some feedback on it. Good wishes from Joan Moules. 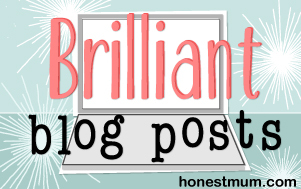 Hi Joan, thanks for stopping by and glad you like the blog! That’s great that you’re having some success with your back list. I will go and take a look at your blog now! I’m noticing a difference in the (slightly) lighter evenings every day! Hah! I’ve never tried it to be fair! February is great for me as both hubby and I have our birthdays. I love all these facts about the month. Happy birthday to you and your hubby! Great facts! I love how short February is and how much closer we are getting to Spring! Roll on summer!